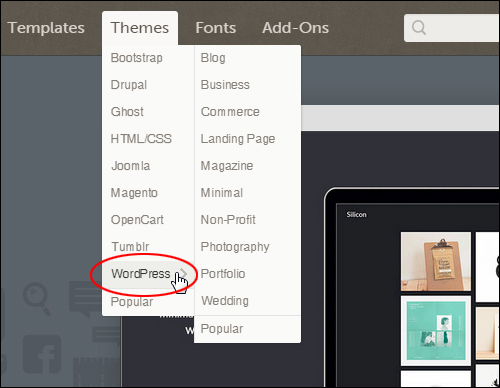 In an earlier post, we provide a comprehensive overview of WordPress Themes. 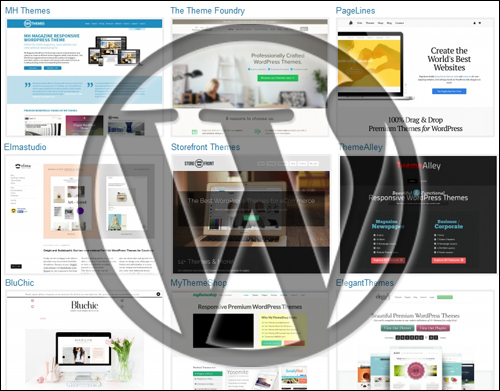 In this article we will show you where to browse hundrerds of free and paid themes for your WordPress website. You will also learn about the different types of WP theme resources and get tips on how to ensure that you get the right themes for your needs and how to avoid experiencing problems like lack of product support and poorly-coded themes. As we’ve explained in another article, a WordPress theme is a special type of web template that is used on WordPress-driven sites and designed specifically with the WP platform in mind. 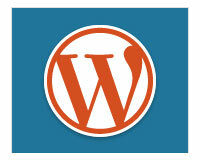 Many website designers and website development houses create themes for WordPress. Consequently, members of the WordPress community have access to thousands of high quality WP themes covering a wide-range of uses. Finding Great Themes: Let’s Simplify Things! Chances are that you are going to get an overwhelming amount of junk to sort through in the search results. So, to help you save time and make your life easier, we’ll just cut through the clutter and make the process of finding great WP themes simple. 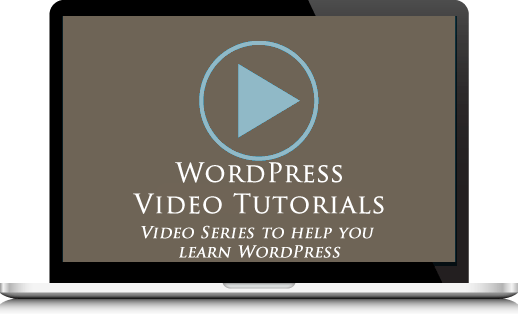 Before we start, you need to know that WordPress offers users both a hosted and a self-hosted version. We’ll cover these differences in another post. To keep things simple, let’s just be covering themes for the self-hosted version of WordPress (WordPress.org) in this post, which gives you more freedom, more options and more control over your site’s web design. Next, it’s useful to know that there are both Free and Paid themes made available. Free themes are generally distributed as Open Source Software under the terms of the GNU General Public License, or they are made available to users as Premium (i.e. 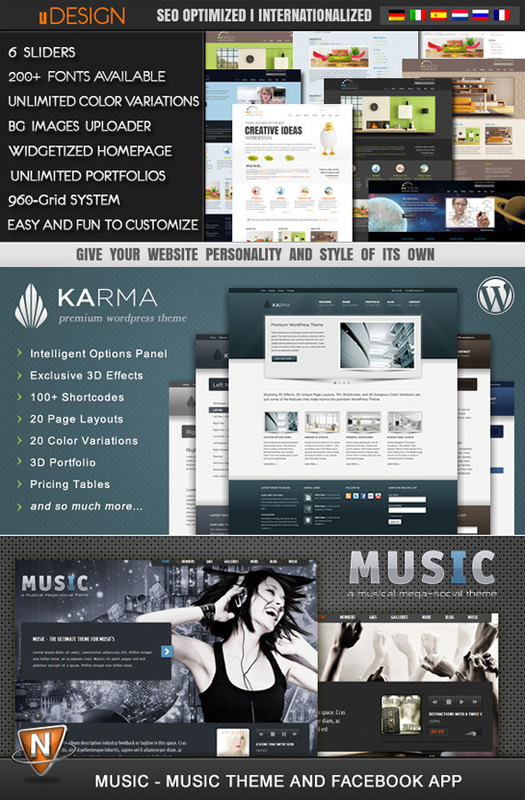 paid) themes. There are mostly 2 places where themes can be found. 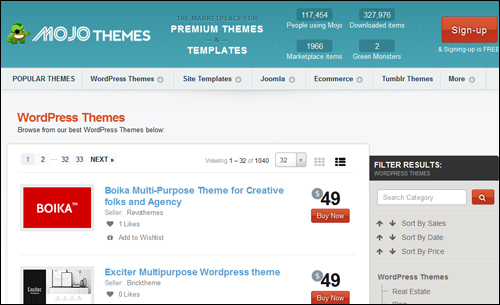 The first type of place is in theme marketplaces and theme directories. 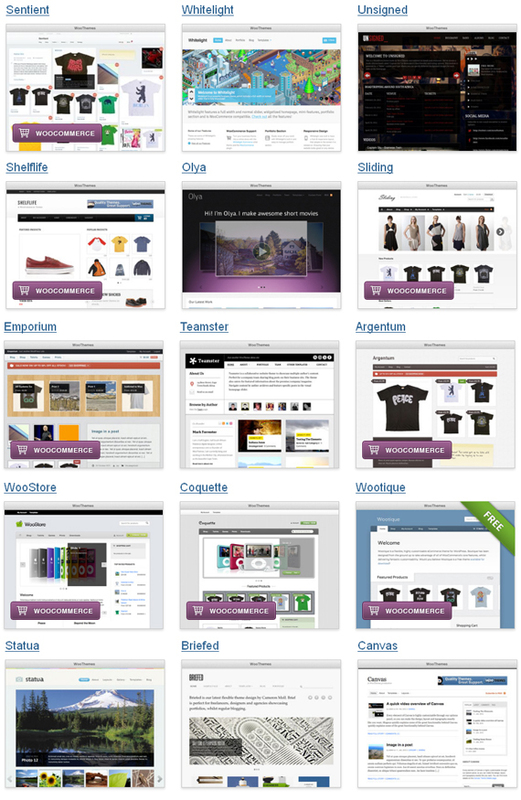 The second are the commercial and independent WordPress theme shops. 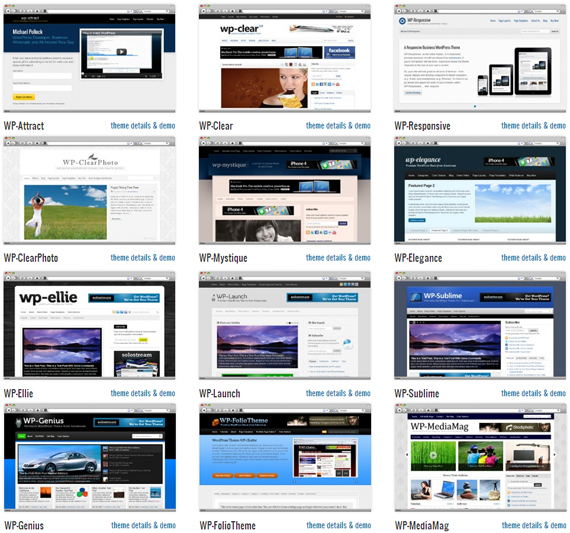 WordPress theme marketplaces and WordPress theme directories are big aggregators of themes. theme developers (both commercial and independent) list their themes (both free and paid) in the marketplace or directory and visitors shop for these just like they would if they were shopping for apps on an app store or software directory. 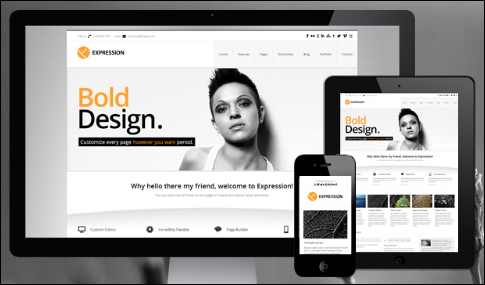 Commercial and independent WP theme development firms can design both free and paid themes, and can vary in size, from an individual designer or a small team of designer, to large web and theme design and development companies. As you will see, most commercial or independent theme developers sell their themes exclusively on their own web sites, but some will also list their themes in marketplaces and directories, or even create a free or “lite” version of their themes for free directories . 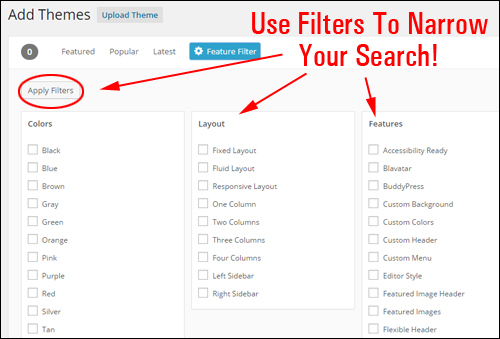 Let’s now show you where to find great themes for your blog. 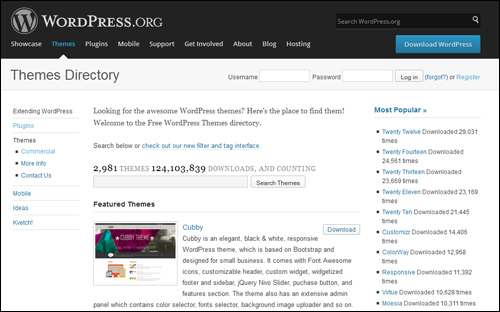 The official WordPress.org theme directory is the largest and best place to download WordPress themes for free. In fact, it’s probably the only free directory you should use when looking for free WordPress themes. The reason for this, is because –as some free software users have discovered– downloading free software, add-ons, apps, templates or themes from untrustworthy places can place your computer, digital presence … even your entire business at risk. 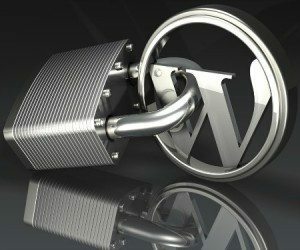 The WP theme directory is not only a trustworthy and reputable place to download themes for your website, but it also relies on a review team comprised of dedicated and hard working volunteers to review and ensure that each theme listed in the directory complies with their standards of quality and security. 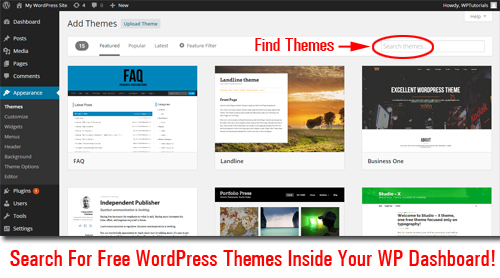 Useful Tip: You can easily browse through every WP theme in the WordPress.org theme directory and not only find what you are looking for, but also easily install and activate it directly from within your WP admin panel with just a few mouse clicks. This makes it easier to find what you are looking for. For example, you could search for themes with a orange colour design, with a three-column layout and a full-width template, or themes that support custom menus, etc. The obvious “pro” to using free themes is that it costs nothing to download and use the theme. An added plus, is that many free themes are professionally designed and offer a number of customizable features, giving you great flexibility and choice in how you configure all of its various layout elements. The “cons” of using free WordPress themes are that your themes may not get updated as often with new features and bug fixes, and you shouldn’t expect the developer to provide personal support, especially if they are not getting paid. Many free themes will ask you for a donation to help cover their support costs. When downloading free themes, therefore, check to see when the theme was last updated. If it’s been well over 1 year since any changes were last made, then we advise you to think twice about downloading it, as the WordPress software is frequently updated and this can result in conflicts and errors with older code. If you’re just getting started and your website is still quite new, it’s a good idea to start with a free theme until you have a better idea of the kind of site design that would work best for your site before spending money on premium themes. Who knows, the free theme you’ve downloaded could be exactly what works for your site and for converting your site visitors into customers. 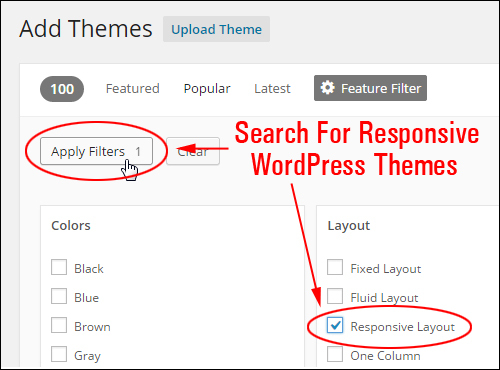 Now that we’ve seen how to find free themes in the WordPress theme directory and how to filter your search for themes that meet your specific requirements, it’s time to turn our attention to finding paid themes. 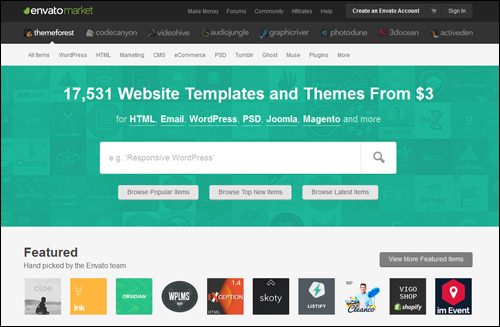 ThemeForest is one of the largest and well known theme directories online. Blog/Magazine – themes for general blogs and political blogs, etc. 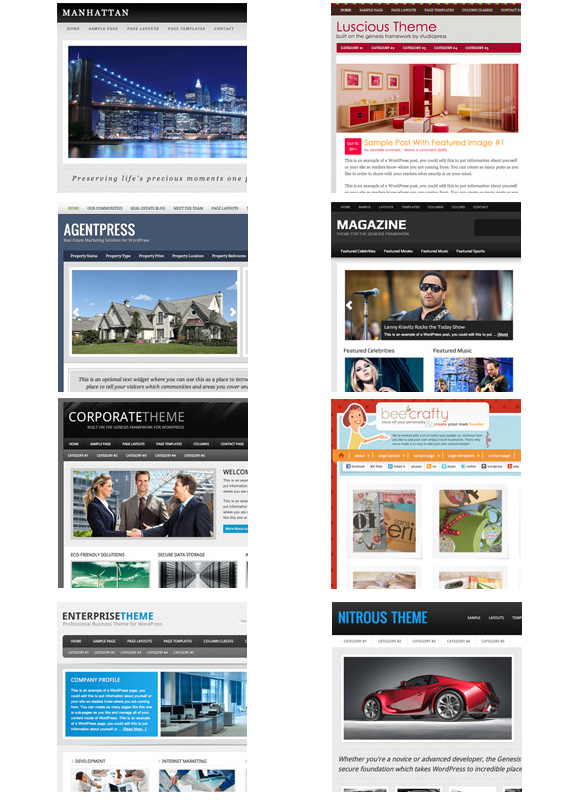 Corporate – themes suitable for medical sites or advertising purposes. Creative – themes for photography, cv and resume writing, etc. Directory Listings – themes that suit sites related to travel, dining out & restaurants, social directories, etc. eCommerce – themes for ecommerce, membership sites, etc. Entertainment – themes for fashion blogs, dining out, etc. Mobile – e.g. 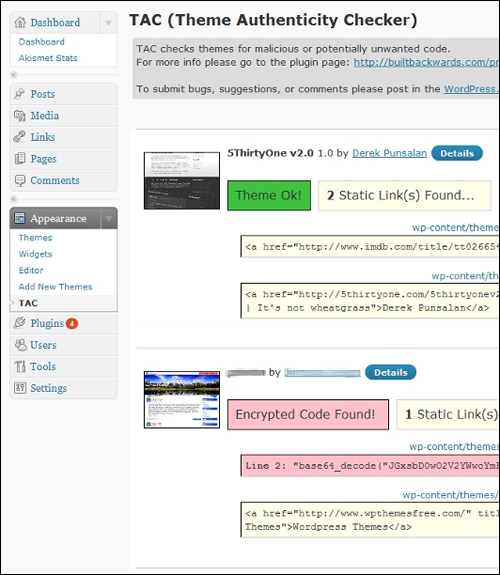 retina-ready themes. Technology – themes related to software, newsletters, etc. Creative Market is another leading WordPress theme marketplace where you can browse thousands of quality premium themes from independent theme creators. Now that we have looked at WP theme marketplaces, let’s take a look at commercial WordPress theme stores. SoloStream provides WordPress users with a great selection of high quality premium WordPress themes and the option of accessing all themes through a WordPress theme membership. Woo Themes creates stunning themes for WordPress and offer a membership option that gives you access to all themes in their growing WordPress theme collection. 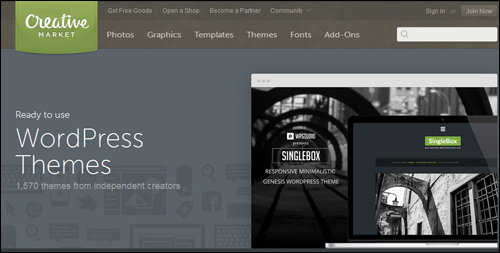 StoreFront Themes creates beautiful e-commerce themes for WordPress. StoreFront themes also integrate well with some of the most powerful e-commerce platforms and plugins available. StudioPress develops WordPress themes based on a framework (called the “Genesis” framework) that lets you quickly and easily build a professional and search optimized WordPress site, and provides a self-updating design architecture, turn-key site designs with beautiful frames for the content and unprecedented control of the framework. Many web developers like the Genesis framework not only because it ‘s well-coded and well-supported (the development team at StudioPress keeps this framework consistently up-to-date to reflect best practices for coding and to make sure that themes remain always compatible with the latest WordPress version, but because you can update themes built using the Genesis framework without losing any customizations you have made to your theme. This is because themes built with the Genesis framework use something called “child themes,” which are like a paint job that sits on top of the framework and gives your site its unique design. If this sounds too technical, there’s no need to feel concerned about it. 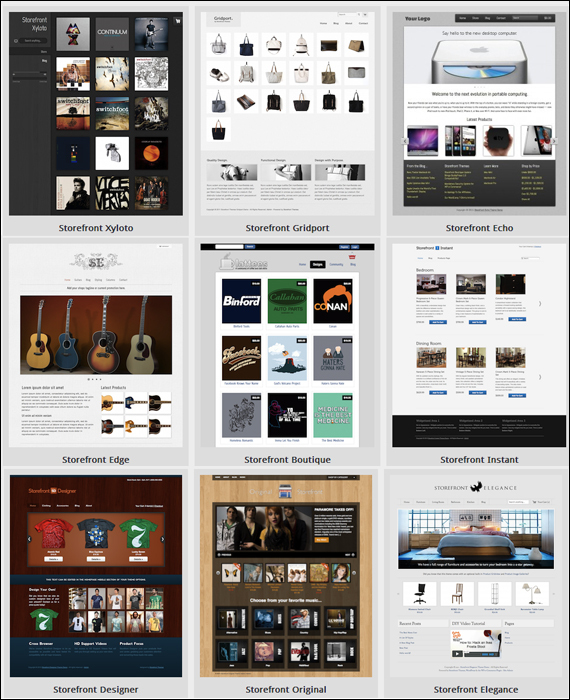 StudioPress themes are very easy to work with, just like all other WordPress themes. The great thing about choosing themes from StudioPress is that one low price allows you to receive unlimited support and updates, and you can install your themes on unlimited domains. 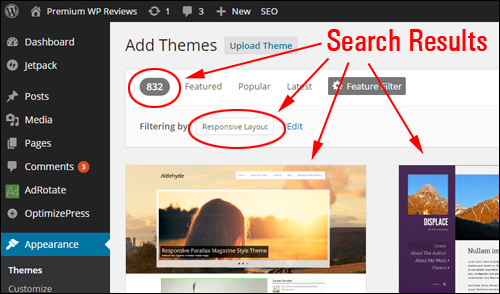 What WordPress Theme Is That is a free online tool that allows you to easily detect what WP theme and plugins a website or blog is using (including parent and child themes). This is a great resource if you have come across a WordPress site that you like and would like to know what WordPress theme is being used on the site. Using this tool is very simple. 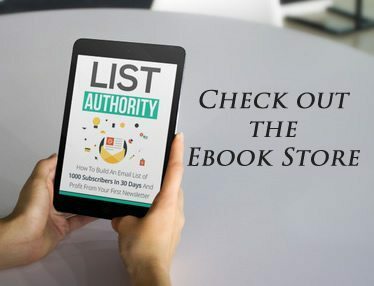 Just enter the site’s domain name into the field and click the search icon or hit “Enter.” The tool will not only confirm if the site is powered by the WordPress CMS platform, but it will also list the theme being used and list any plugins detected. 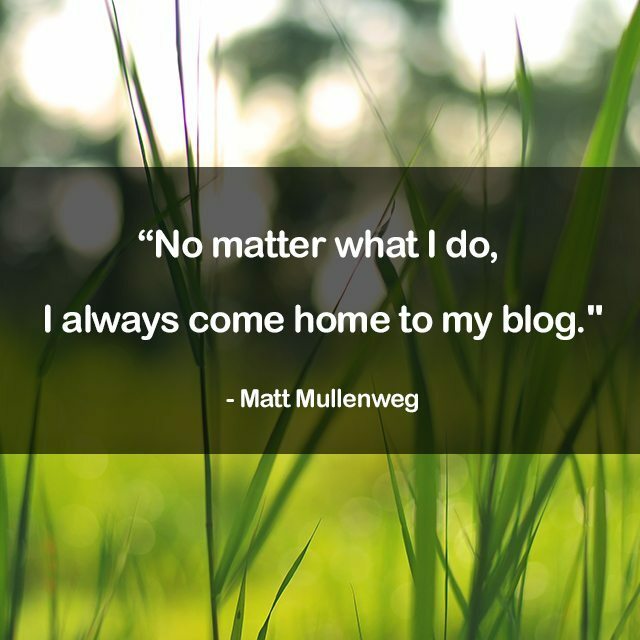 To learn how to use this tool go here: Does My Blog Run On WordPress? 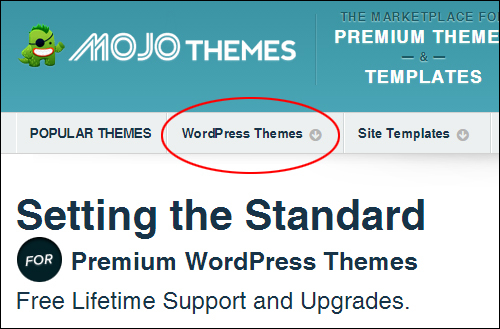 We said this earlier and it’s worth repeating again: When choosing FREE themes for your WordPress site, we strongly recommend sticking with the approved themes listed in the official WordPress theme repository. A commonly-used method employed by a number of hackers and cyber criminals is to put up websites and directories offering “Free” WordPress themes all over the web and distribute modified themes and plugins with malicious code embedded in their files. In fact, some of these sites even come up on search engine results for key phrases like “free WordPress themes“, “best free themes for WordPress”” etc. It’s safer, therefore, to stick with the official WordPress.org repository, or use established and trusted theme download sites. We hope that you have found the information on how to find great WordPress responsive themes useful. Did you enjoy reading this post? Please post a comment below or share this post with your friends. [su_note note_color=”#4c4c40″ text_color=”#fefdfd” radius=”2″]Need Help To Manage Your WordPress Site? Disclaimer: This site is not associated with WordPress or any of the WordPress-related products written about on this site. We may derive a financial benefit from sales of products advertised, reviewed or linked to from this site. All information used in this review have been sourced from the plugin’s own website.